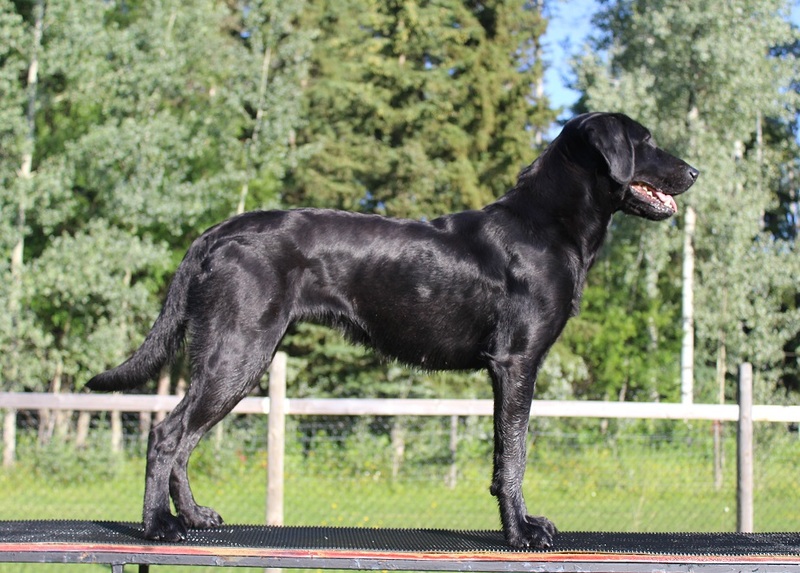 Viper is a very bright, high drive, independent dog from our Verona x Chester litter. We did not originally intend to keep a puppy from this litter as we were hoping to keep a chocolate puppy from Verona’s next litter, but Viper was too special to resist. From a young age, she had the most intelligent, focused ‘Keep Me!’ eyes. As a stand-out puppy in an exceptional litter, we are excited to see what the future holds for this little smarty pants. 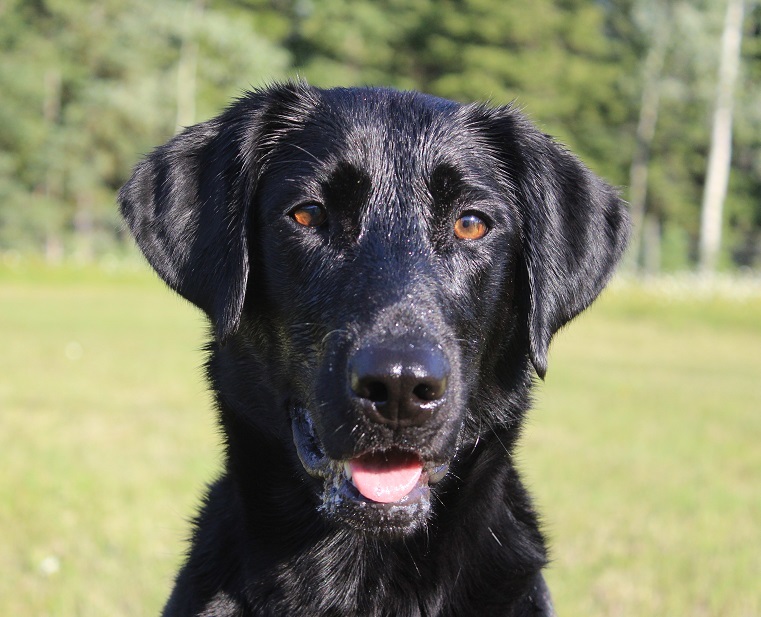 Viper is training for agility, rally, dock diving and nosework and is doing very well – she has earned her C-WAGS scent patrol title and WON the BC Championship semi-pro X-treme Air dock jumping competition with a personal best jump of 18’9″ on her debut weekend of dock competition. Viper continues to progress in dock diving, and in 2017 was handled to several new personal bests including a 6’2″ in high jump and a 7th overall finish overall at the Canadian Championships. Viper is probably best known for her wonderful social temperament with both dogs and people and her ultra keen nose. She has siblings titled and/or excelling in training for rally, obedience, agility, field trials, hunt tests and search and rescue. Viper’s first litter was born in early 2017, sired by Harvey. Those puppies are doing great things in obedience, agility and dock diving and one is an emotional support dog. The breeding was repeated in 2018 with puppies going to a similar variety of homes.